We are in a world in which the Internet has superseded the reading of physical books and having a real library at home is a treasure. Not everyone has a room in their house that can be used completely to dedicate it to books. Whoever has the opportunity must keep in mind different aspects to create their library. 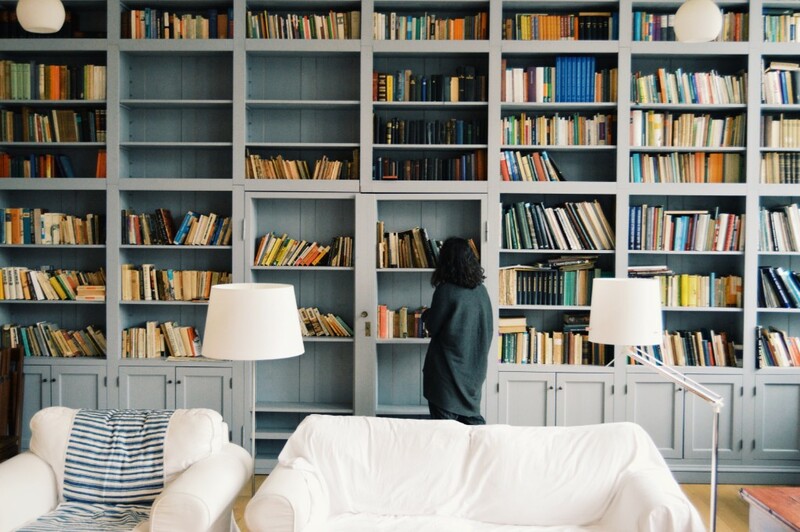 What do you need to know to create a library in the home? The most important thing is to establish what the space in which the library will be created will be. They may have different configurations in relation to the design. It can be as simple as placing one or two comfortable armchairs with a good upholstery, a floor lamp and a shelf with books or create a shelf with shelves that surround the entire perimeter of the room. The design will depend on the space available. If you do not have too much space, it is recommended to play with height, as it is done in Japan with buildings in the face of space shortages. The creation of a shelf that reaches the ceiling can be very interesting. If you opt for it, do not forget to have a ladder to reach the top of the library. What details should I have? It is a question that we should ask ourselves because it is important to know how the space will be used. Should it be a personalized space? Will it only be used by adults or will children also use it? You have to ask these questions so that the library remains exactly as we want. When it comes to decorating the room where the library is located, there must be some balance or create a decorative element in common, which will create a cozy and sophisticated atmosphere. They may seem like small details but they all have a great importance and if they are taken into account, they can contribute to having a cozy and warm library at home.